Over the past several years, there have been numerous studies suggesting the rise of patent litigation. Some have argued that this rise is mainly due to the joinder rule that became effective post AIA and it may not be accurate to simply look at the number of cases filed as an indication for rise in litigation. 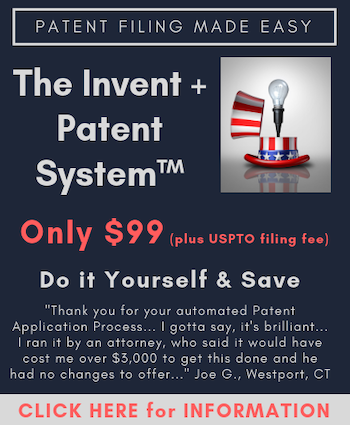 Nevertheless, the number of cases filed was generally accepted as an easy measure for patent litigation. While this number is a useful metric, another metric that may be more important but not easy to measure is the number of unique patents asserted against different defendants. We decided to take a closer look at this metric and measure it from 2010. We made several interesting discoveries, including the surprising fact that even though the number of cases has been rising, the number of unique patents asserted each year has been declining. The number of unique patents asserted may be a better metric as it indicates how many unique patents are believed (by their owners) to be infringed in the US market. As we know, after AIA, a single patent may now be asserted more than 100 times (e.g., Shipping and Transit LLC has filed more than 150 cases against many companies which, in most cases, only a single patent asserted (US7,400,970). In our study, we counted this or similar cases once, because only a single patent was involved. As you can see in the above chart, the number of unique patents has been declining over the years. 2015 saw the highest number of filings. However, in terms of unique patents asserted, 2015 actually represented the lowest level since 2010. The number of unique patents asserted in 2015 had declined more than 23% from 2010. Since AIA became effective, another hypothesis that some experts in the field have discussed was the potential rise in the number of patents asserted per case, which is believed to lower the likelihood of success for IPR, in the event all those patents are challenged by the defendants through IPR. Although this is a sound strategy to increase the success rate for the plaintiffs, the numbers show that, on average, plaintiffs have not leveraged this strategy in the past few years. In fact, even though 2015 saw the highest number of cases filed, the average number of patents per case (1.76) declined about 18% compared to 2.15 in 2010. This number was about 1.93 in the first half of 2016. “One possible explanation may be the type of cases that contributed to the rise in filings in 2015. If many of them were low value, nuisance type cases that were filed before the change in the pleading requirements on December 1, 2015, they would not necessarily have more patents per case” says Sanjay Prasad, principal of Prasad IP, PC in Los Altos, California, who regularly advises patent owners and accused infringers in patent infringement disputes. However, the maximum number of times a single patent asserted in multiple cases per year rose noticeably. As we all know, post AIA, plaintiffs have to file multiple cases in order to assert a single patent against multiple defendants. In 2010, the maximum number of times a single patent repeated in multiple lawsuits was only 26 times. This number grew 446% to 142 in 2014. Through only the first half of 2016, this number was 93. For the same reasons mentioned earlier (i.e., the joinder rule), the average number of times a patent was used in multiple lawsuits also increased substantially. In 2010 – and before AIA – each patent was used on average in 1.43 lawsuits. However, this number increased substantially post AIA, as predicted by many experts. In 2015, the average number of times a single patent was used in multiple cases grew to 2.76 for a 93% increase since 2010. This number was 2.05 for the first half of 2016. The analysis of unique patent numbers asserted each year surprisingly suggested a decline since 2010. This is an important measure, because it shows that the rise in the number of lawsuits reported by many studies is the result of only a few players (plaintiffs) who had to file many cases due to AIA and joinder rules. Additionally, although it was assumed by many experts that the number of patents per case will increase over time in order to reduce the risk of invalidation through IPR, that number has not changed significantly. In fact, it dropped last year. NOTE & DISCLAIMER: To obtain these charts every complaint was manually reviewed by Patexia staff and the patent numbers asserted in each complaint to the corresponding case were added to the database by hand. While this method can result in occasional human error, the figures are believed to be true and accurate. Pedram Sameni is the CEO and founder of Patexia, an online platform launched in 2010 to connect IP professionals from corporations, law firms and universities all around the world. Pedram’s goal in founding Patexia is to bring transparency and efficiency to the IP system and as a result, help companies better assess, manage and utilize their IP assets. Pedram received his PhD in Electrical Engineering from the University of British Columbia in Vancouver, Canada and worked for several high-tech companies including International Rectifier, PMC-Sierra and Foveon in different capacities before founding Patexia.